Project aim. Understanding crowd behaviour using social simulation, as a (social) scientific tool to theorise and test theory. Approach. Combining relevant social and cognitive science in an agent based social simulation. Understanding crowd behaviour is sought by relating individuals internal and interaction with others to the collective behavioural patterns the emerge (e.g. violent behaviour, lane formation). Why? Crowd research is in need of 1) testable theory/explanations that reflects the dynamic interplay within and between individuals and their environment, 2) a method that allows for testing. Crowd simulation for context beyond movement, needs to incorporate behaviours, social influences etc. The model. 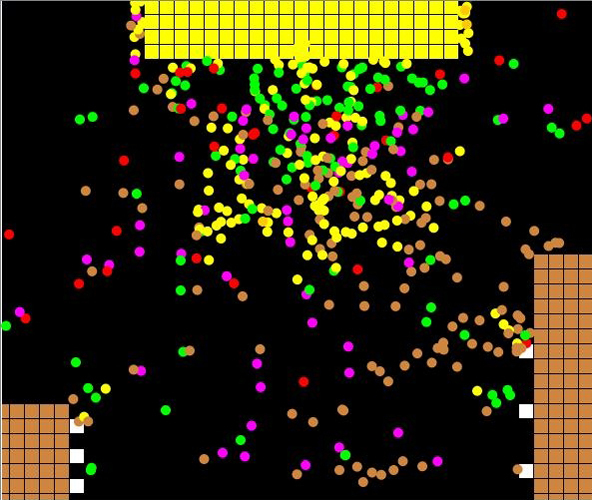 CROwd Simulation of Situated individuals (CROSS) is social simulation developed for understanding crowd behaviour. The CROSS model represents individuals in a crowd as social-cognitive agents that are affected by their social and physical surroundings and produce behaviour and behaviour patterns.